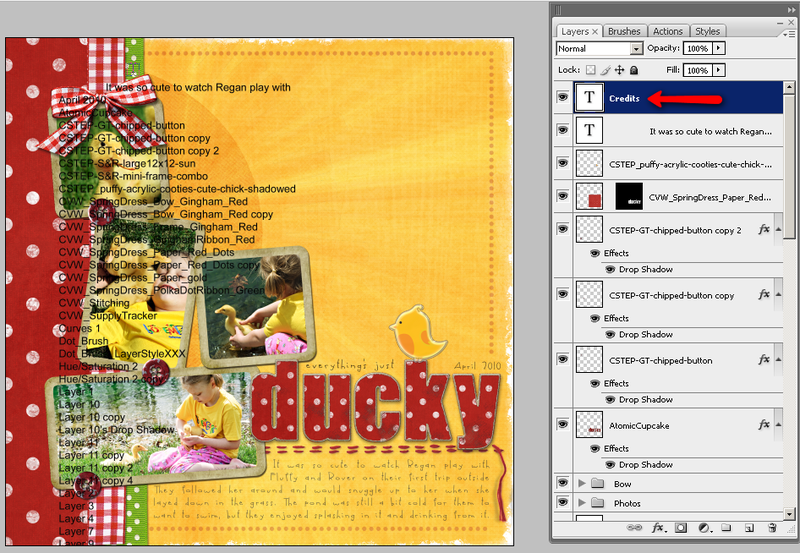 Melissa's Blog: Speedy scrapping here we come! I was just browsing some forums and stumbled across an awesome resource at SpeedScraps. Do you tend to just stick to kit scrapping due to the issues with keeping your credits straight? 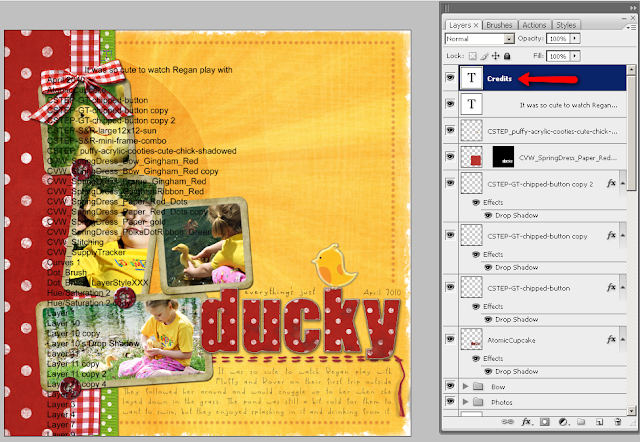 Well, Christy at SpeedScraps has a great tutorial for you. Part 1 and Part 2. The best part about all this is that she's created a tool to track your supplies, called, oddly enough Supply Tracker, and is giving it away! The tools Christy has make allow you to make your layers, and then it puts them all into a credits layers for you and in the File Info too! Awesome! So why not head over to SpeedScraps and check it out! This looks really cool Melissa! Very cool will check it for sure.